Lent, that time of the liturgical year when Holy Mother Church calls on Catholics to fast and abstain from meat in the spirit of penance and self-denial, also encourages the faithful to meditate on the dolorous Passion of Our Lord Jesus Christ. In this penitential exercise, Our Lord Jesus Christ serves as our supreme model- He led the way of mortification by denying Himself sustenance for forty days and forty nights in preparation for the commencement of His public ministry. He, who has most tender compassion for humble and repentant sinners, assures us, “I came not to call the just, but sinners to penance.” Luke 5:32. And in a supreme act of immolation, Our Lord offered Himself in sacrifice for our salvation and accepted His suffering humanity for the redemption of the world. In light of the above, how are we to model our Lenten practices in the spirit of the Fatima message? 1. During Lent, Fatima’s constant theme of prayer, penance and amendment of life becomes ever more relevant in our daily lives. Nowadays, many are accustomed to the conveniences that technological progress provides. 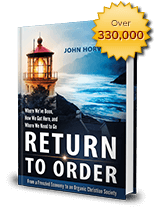 Fast food, TV dinners, cell phones, ATM’s, express delivery, Internet, email, on-line shopping, etc – modern inventions that fuel that frenetic desire to get things done quickly and easily. Everything comes at one’s fingertips at one’s beckoning. And voila! The recurring mantra jumps out, “I want it and I want it NOW.” In short, no fuss, no delay; period! In a fast paced world as such, instant gratification is the rule. Sadly, it also opens the door wide to sin and vice. The myriad of ads that one watches or reads these days appeal in more ways than one to the seven capital sins. A new facial anti-wrinkle cream flatters a 50-year-old’s vanity; a luscious and tantalizing food product feeds one’s gluttonous tendencies; the Jones’ new car spur’s one envy; an exotic perfume wakes up ones passion and lust; a sales pitch for faster delivery service mitigates one’s anger over a previously botched job; and so it goes down the line. From another vantage view, each individual suffers from a ruling passion or vice that dominates all others and, frequently causes one to fall from grace. Be it pride or sensuality, intemperance, a loose tongue or what not, we know, more or less, our own weaknesses. Thankfully by the grace of God, Lent offers the opportunity for one to tackle this or that defect through serious reflection, prayer and the practice of mortification. Would it burden us much if we cease to be creatures of comfort starting this Lenten season and mortify our senses for the good of our souls? Let us turn to the children of Fatima for inspiration and courage. The Angel of Portugal taught the children the virtue of asking pardon for evildoers through prayer and offering sacrifices. He impressed upon them the compelling need to make reparation for the insults, sacrileges and indifference committed against the Most Blessed Sacrament. Our Lady of Fatima consistently asked the children for prayers of reparation and sacrifice for poor sinners which culminated in the vision of hell that had a profound and lasting effect on them. Having seen the horrors and torments of everlasting infernal fire, the seers were transformed into heroes of mortification and penance. The children devised innovative ways as they see them fit to observe mortified lives. Lucia found a rope one day and suggested it to be cut into three pieces so each of the seers could wear them continuously around their waists. This they practiced with such zeal that it bothered them in their sleep. Pleasing at it was to God, Our Lady had to intervene later and asked them to remove them at night. Francisco thought it a good sacrifice to give their lunches to the sheep and in later days to poor children they met along the way. Thus they fasted much like in the spirit of austere monks. They thrived admirably on acorns from holm oak and oak trees, pine nuts, roots, berries, mushrooms and other things harvested from the roots of pine trees. On one occasion, Lucia and the other two children, while suffering from severe thirst, decided to forego drinking from a jar of water that Lucia fetched from a nearby house and poured it instead into a hollow in a stone for the sheep to drink. Such were the edifying examples of mortification the child seers practiced because of their deep understanding of the urgent necessity of acts of reparation and sacrifices to appease Divine Justice and to mitigate the injuries perpetrated against the Immaculate Heart of Mary. Let us take all these to heart and apply them to our own situation keeping in mind the widespread decadence corroding the moral well-being of our contemporary times. It is undeniable that much penance and prayers are needed to atone for all these transgressions. One needs just to open the newspaper or watch the nightly news to find proofs. 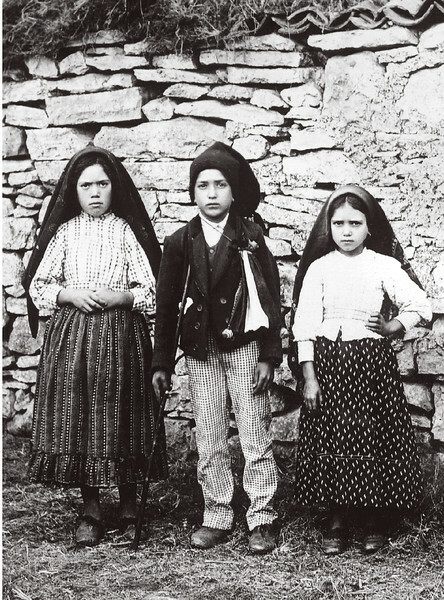 The messages revealed in the apparitions to the three Portuguese children by the Angel of Portugal and the Queen of Heaven and Earth all speak of the gravity of the sins and crimes of mankind – a tragedy that begs for serious and resolute atonement and conversion to appease the wrath of God. To avert a terrible chastisement, Our Lady asks men to pray ardently for the conversion of sinners and to offer many expiatory sacrifices. We must take this warning with utmost seriousness and immediacy. It is a standing message for our times directed to all men. The seers of Fatima responded to this call by making heroic acts of penance and reparation for they fully grasped the meaning of appeasing Divine wrath. Let us follow their lead and reconcile the Fatima message with the real moral crisis staring at us blankly. What has been written here so far would be put to waste if our intellect fails to change our mentality and move our will to make steadfast resolutions. If the service of God consisted only in fulfilling certain obligations, devotional practices and prescribed prayers compatible to a life of ease and comfort, then the Church would be flooded with new-found saints. But such is not the case. Sadly, it is our human nature to shun sufferings, to avoid pain and to be self-satisfied with whatever little progress we gain in the spiritual life. Let us shed our false optimism. Let us cast our tepidity and lukewarm spirit. With a changed mentality, let us replace our misconceptions with a sincere abiding sorrow for our sins. Take heart in the Divine counsel, “If any man will come after Me, let him deny himself, and take up his cross daily and follow Me.” Luke 9:23. The cross is the embodiment of the Gospel and the glorious standard of a true Christian. And by carrying our cross, we must humble ourselves and look at ourselves as our greatest enemy; with whom we ought to wage a continual war for the rest of our lives. The current situation and the message of Fatima place the above reflections in a different perspective. Whatever self denial or sacrifice we choose to practice, we must perform with humility and prudence. Lent or otherwise, we must imbue ourselves with a lasting penitential spirit in face of the unabated moral chaos besetting mankind for, indeed, we are in extraordinary times! This entry was posted in Featured and tagged Fatima, Francisco, Holy week, Jacinta, justice, Lent, Lucia, mortification, Offering, penance, sacrifice, suffering by Jose Maria Alcasid. Bookmark the permalink.